Need a walk-in centre in Solihull? You don't need to travel, see a GP online instead. Our online walk-in centre can save you time. Speak to a doctor face-to-face in minutes. We’re here from 6am - 11pm, 7 days a week, including weekends and bank holidays. Our doctors can treat a wide range of conditions, write same-day prescriptions, fit notes and referrals. 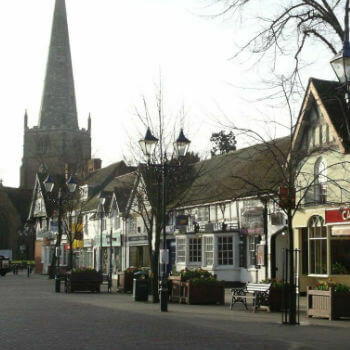 Located in the West Midlands, Solihull has a population of over 206,000, which means there can be long wait times to see a GP. There's no waiting and no worrying, just quick, expert medical advice from one of our friendly doctors. Have a video consultation on your smartphone, tablet or desktop from the comfort of your own home, workplace or on the go. There currently isn’t a designated walk-in centre in Solihull where you can see a GP. The Bupa Health and Dental Centre in Solihull town centre offers a range of general health check-ups, but doesn’t deal with specific issues. Knight's Pharmacy is found just a short walk from Solihull Hospital. You can pick up a prescription from Push Doctor here 7 days a week.